Wood violet; photo by Maia C on Flickr (noncommercial use permitted with attribution / no derivative works). 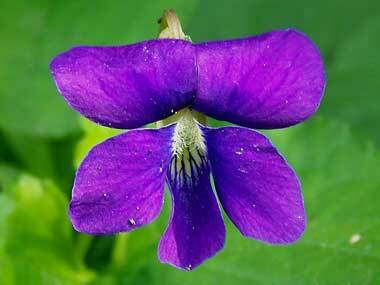 In the spring beautiful, delicate violets are seen sprinkling New Jersey lawns, fields, and meadows. The flower has five petals that are usually blue to purple in color, sometimes white, with darker veins that radiate out from the throat of the flower blossom. 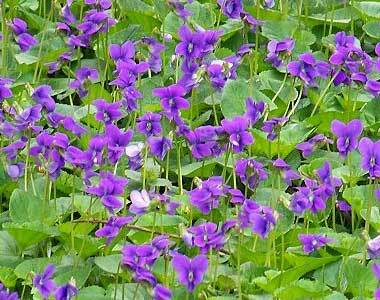 Violets have simple leaves that grow only at the base of the plant. Wood violets; photo by Maria C on Flickr (noncommercial use permitted with attribution / no derivative works.